A wireless temperature sensor eases the process of sending data regarding any change in temperature as per instructions as compared to a wired sensor. Over the past few years, the demand for wireless temperature sensors has increased with growing application in healthcare and consumer electronics due to rising investment by governments in safe and reliable healthcare infrastructure and increase in the sales of wearable gadgets. The increasing technological proliferation in emerging economies has made this market highly competitive with the emergence of new players. The growth of the wireless temperature sensors market is currently hindered by the lack of awareness, lack of product differentiation, and environmental impact on sensors. Consumer electronics is one of the most prominent markets for the use of wireless temperature sensors. 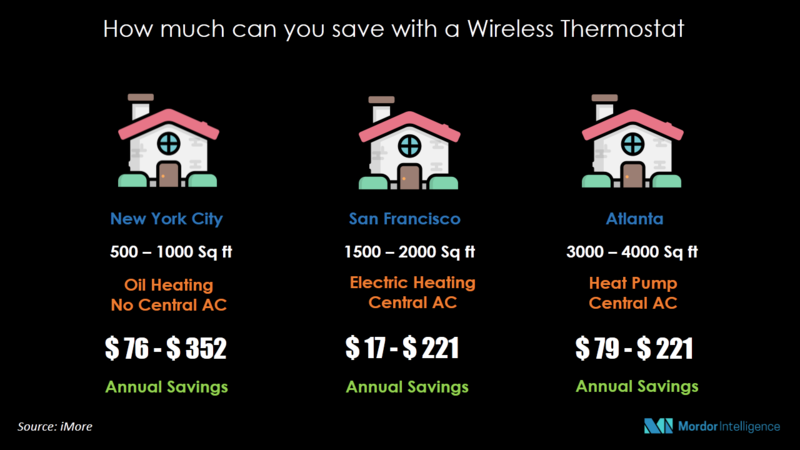 The trending wearable gadgets, wireless thermostats, wireless thermometers, bug terminators, smart HVAC systems, and other smart home gadgets make use of wireless temperature sensors to work efficiently. Trends in the personal computing industry such as smaller system size, faster processors, and the need to support more advanced applications make monitoring and controlling heat imperative. This trend, coupled with robust sales and advancements in desktop and portable computers, is likely to continue to support the growth of wireless temperature sensors market in the next four years. Similarly, wearables are also attracting growing attention in the market, coupled with miniature computers that are worn as garments or accessories. These devices are embedded with wireless temperature sensors that enable them with environmental sensing capabilities. These embedded wireless temperature sensors can help the users of smart gadgets in improving awareness of the environment around them. The wireless temperature sensors embedded in wearables can also measure relative humidity and temperature (RH/T) to enable devices and their users to understand ambient conditions around them, coupled with the user's physiological information, such as skin temperature or sweating rate, which are attracting many athletes to use these gadgets for professional usage. The significant advantage of these sensors is that they do not require a lot of computation power. They are energy efficient and are becoming smaller and smaller with each iteration of the product released into the market, making them ideal for wearables while providing a broad range of potentially valuable applications in the future. March 2018: Honeywell launched its next iteration of the thermostat, the Inncom e7, an enterprise-grade environmental control and energy-management product, that incorporates Amazon Alexa voice control to operate room temperature, lighting, drapery, and amenities services. The e7 is based on a patent-pending smart wall-plate design that provides hotel staff with an easy and reliable back-up of the device configuration. The major players include Texas Instruments Incorporated, Siemens AG, Honeywell International, Inc., ABB Ltd, Analog Devices, Inc., General Electric, DeltaTrak, Inc., and Emerson Electric Company, among others. Current and future wireless temperature sensors market outlook in the developed and emerging markets.